Be a MENTOR to At-Risk Youth — Tag. AWAKEN ARTS is accepting applications for the next mentoring session! Who: Anyone 21+ who wants to give back. If you have experience as an artist that's great but not required! Just an appreciation for art, an open mind, and a helping hand is perfect. 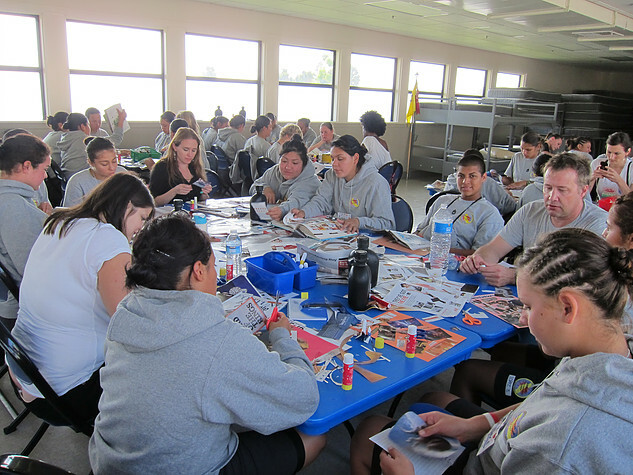 What: Spending time with at- risk youth (ages 16-18) and helping them use art as a tool for healing. We do art projects with the kids and then break off into smaller groups and teach/learn an art speciality (i.e. acting, dance, singing, drums, guitar, creative writing/ song writing, visual arts, photography). Where: 4022 Saratoga Ave #21, Los Alamitos, CA 90720 *Most mentors drive down from LA so there are lots of carpools that you can be apart of.